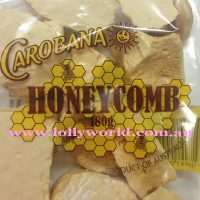 Honeycomb by Australian company Carobana is just delicious. Big chunks of honeycomb to munch on. Stick it in the freezer for extra crunch.